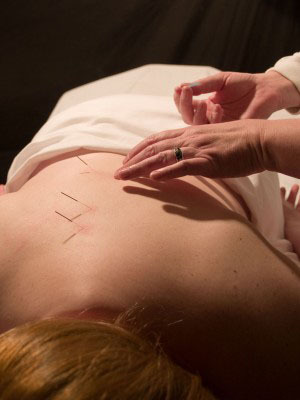 A wide variety of health issues are treated positively with Acupuncture Treatments. Human beings are bio-energetic systems. When the balance of this energy is disturbed, pain or disease will result. Acupuncture treatments correct this balance by stimulating the body’s natural ability to heal itself. The Chinese word “Qi” (pronounced “chee”) describes the body’s life force, or energy. Illness occurs when too much, or too little, Qi exists within the energetic pathways of the body that lead to the organs, muscles and nerves. Qi can also stagnate and block the pathways, causing pain and discomfort. Acupuncture Treatments involve the use of very fine hair-like pre-sterilized, disposable needles. After diagnosing an individual’s condition, needles are placed on the energetic pathways to stimulate restoration of the smooth, harmonious flow of Qi. When used to treat both symptoms and the underlying condition, Acupuncture can be a powerful medicinal choice. Depending upon an individual’s needs, other variations of Acupuncture may also be utilized. At your first appointment, we’ll discuss your individual situation with you and explain the various techniques that are recommended.